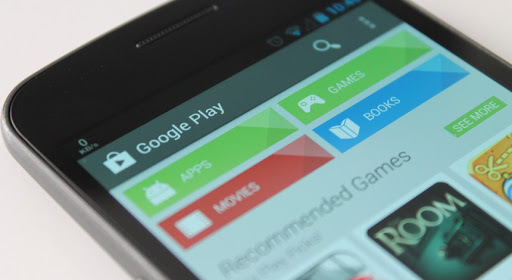 Google Play Store crashing is one of the most dreadful problems one the Android ecosystem. When this happens, you can neither install any new apps nor update existing ones. It means that you’re stuck with what you have. Unless, of course, you want to start sideloading apps (which is not advisable for obvious security purposes ). The good news though is that you can make this problem go away using the following “Ticks”. Clearing the cache is the first thing you should do if any app crashes immediately (or shortly) after you open it. First of all open the Settings app on your device, scroll down to the ‘Device’ category, and tap to select ‘Apps’. This opens a new menu listing where you can control all apps installed on your device. If your phone or tablet is running Android Marshmallow, simply scroll down till you find the ‘Google Play Store’ option. If you’re using Android Lollipop or earlier versions, slide to the ‘All’ tab and find ‘Google Play Store’ from the list of apps that appears. Once you tap on ‘Play Store’, you should have several options: ‘Force Stop’, and ‘Disable’. Possibly, you could even have one that says ‘Uninstall Updates’. Select ‘Force Stop’ and tap ‘Ok’ to clear the warning that shows up. This makes sure that Play Store is not running in the background. On Lollipop or earlier OS versions, simply scroll down and tap on the ‘Clear Cache’ button. On Android Marshmallow, tap on the ‘Storage’ option then chose ‘Clear Cache’. This effectively erases all cached data attached to the Play Store app. Try to open Play Store and see whether it is still crashing. If it persists , following the same instructions above but rather than choosing to ‘Clear Cache’, tap to ‘Clear Data’. This deletes all login details and other data related to the app. Once you’ve done this, try opening the app again. It should work well, but if the problem persists, you’ve got one final option.